Lets face it, everyone has played the Diablo games. 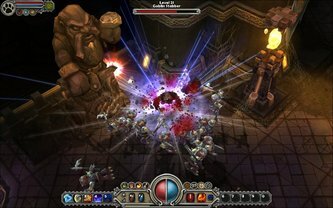 Blizzard pretty much put the modern day dungeon crawler game on the map in the late 90s with Diablo/Diablo II and the DII: Lords of Destruction expansion. As crazy as it sounds they're still releasing patches and updates for Diablo II even as recent as a few months ago. Since then we've waited about a decade for Diablo III, and still don't have it, but more clones than you can quickly click a sword at have come our way since. 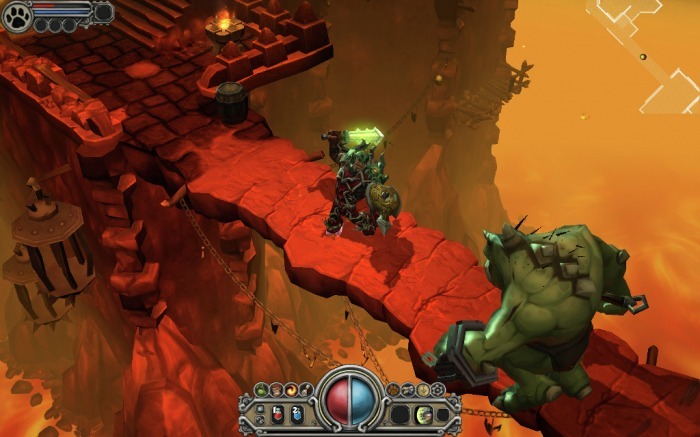 Torchlight is the latest dungeon crawler to find its way on to the PC, but what makes this one special is that the former designers of the original Diablo series are behind it, as Runic Games. While it's a completely new game in its own right, it is also the successor to, but not a sequel of the Fate series from Runic as well. It looks a lot like Fate too, only better. Visually speaking, Torchlight is a real gem. The world is a combination of medieval and steampunk, quite frankly, it reminds me instantly of Privateer Press's Warmachine/Iron Kingdoms tabletop wargame, and RPG universe setting. If you look closely at some of the art, you'll find that the artistic style is also very reminiscent of the old Rankin Bass animation studios productions like the Hobbit and The Lord of the Rings from the 80s. That is what attracted me to this game to begin with. Sword, sorcery, black powder, with a little bit of technology tossed into the mix, is what it's all about. The artistic style is more Disney-Esq than anything else. It's that cartoony, and almost comic-book super-hero artistic style that makes it as entertaining as it is too. The over-the-top bosses, and exaggerated proportions of the characters is what makes it whimsical, and more lighthearted. In Diablo, creatures would sometimes pop out and raise you from your seat, in Torchlight they make you laugh and entertain you instead. I've been running it on two different machines, both of which I consider mid-range machines, at 1600x900 32-bit color on GeForce 9500 GS/9750 Extreme class video cards, via dual and quad core processors without a hitch. Best of all, most anyone can play it with bare minimum requirements of an 800Mhz CPU, 512MB of RAM and a 64MB DirectX9.0 Capable video card and only 822MB of hard drive space. There's even a Netbook mode to play it on the go, how's that for accessibility? The story isn't really important. 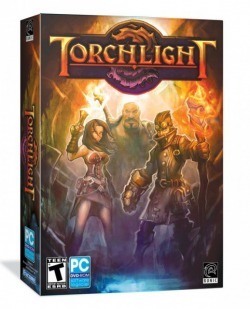 Torchlight is the name of the little town where the game begins, it's also there you'll pickup your first tasks, and where you come back to later to cash in your goodies. 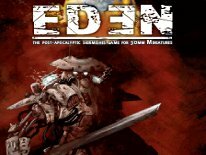 All of the action takes place elsewhere, and overall the story isn't as well thoughtout, or as deep as the Diablo titles, but who cares right? Most certainly will feel the same way, because you don't play a game like this for the story. You play games like this to kill things, collect loot and get clicky-finger cramps, and that's where Torchlight really excels. Audibly Torchlight oozes awesomeness. Matt Uelman is responsible for the score, and is also one of the original Blizzard crew who put together the score of the Diablo titles, who helped with sound design on StarCraft, and in recent years even contributed to World of Warcraft: The Burning Crusade. Therefore Torchlight not only feels like an old-school Blizzard production, it sounds like one too. There's only three character classes to choose from the Destroyer, Alchemist and Vanquisher. Or Melee Bruiser, magic wielding Sorcerer, and agile Ranged Adventurer respectively. Each character levels up as you make your way thro the game too. When you choose your class, you also get to choose a pet from Dog, Cat and Weasel types, and you can even name the pet. The coolest thing that I think the pet can do, is take things back to town to sell for you when you're deep in any dungeon. 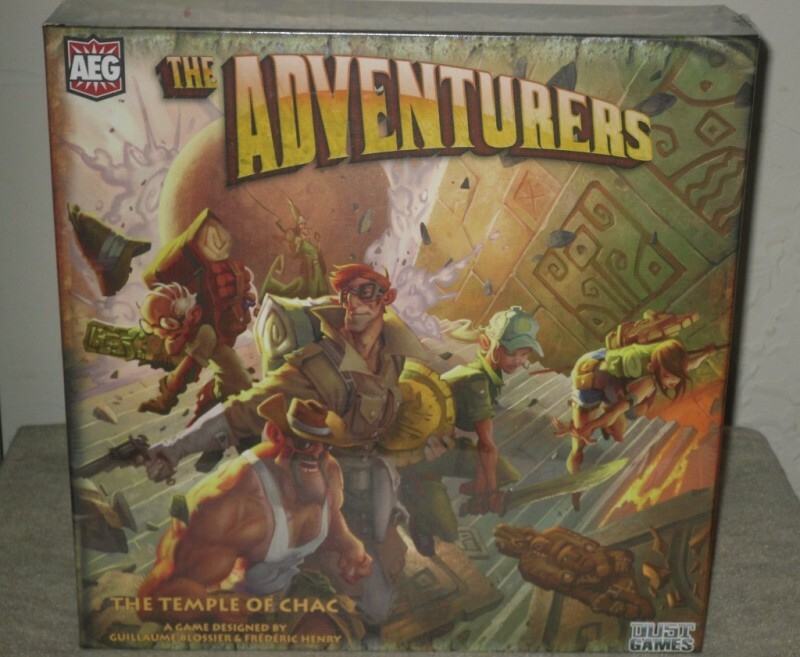 This lessons the burden of being overloaded with junk from the pickups, and you waste a lot less Town Portal scrolls with Fido at your side to cash in the loot for you. At various points throughout the game there are also fishing holes. Here you can fish and pickup random power-ups for your pets essentially, some of which totally transform them into something completely different. The pet is also a very useful Wingman if you will, helping to smite foes, and doing double duty as a pack mule with their own inventory slots to boot. Best of all, you don't have to babysit your pet and hold their hand as you go, they're very low maintenance. Granted from time to time it's good to keep an eye on their health, and chuck them a potion-treat as needed, otherwise they pretty much exist on their own with little to no input from you. As expected, there's truck loads of glorious loot to collect as you click, click, click your way through the levels. The balance is just about right between the junk you sell for cashola, and the really good stuff you need to outfit your characters with. One feature I found really sweet was the means to dual wield weapons too, so once you find that right pair of pistols, or wands you can go all akimbo on them dungeon goons. Even the dungeons are randomized, so you could go back through to do it all over again with another character, and it will be a different experience altogether. Shared stash is another fantastic option, which allows you to share items among other characters you've created to play the game with via a seperate stash box in the town. I'd imagine that creating Torchlight for these guys was like being given the chance to go back and improve upon everything you did before, and have a decade to sit back and think about it all first. Torchlight doesn't reinvent the isometric hack-n-slash, instead in includes, and improves upon, as needed, all of the good things we've seen included in every dungeon crawl game since Diablo II. The only glaring omission is multi-player, and that really kills what made Diablo II and the Dungeon Siege games so much fun cooperatively with friends. 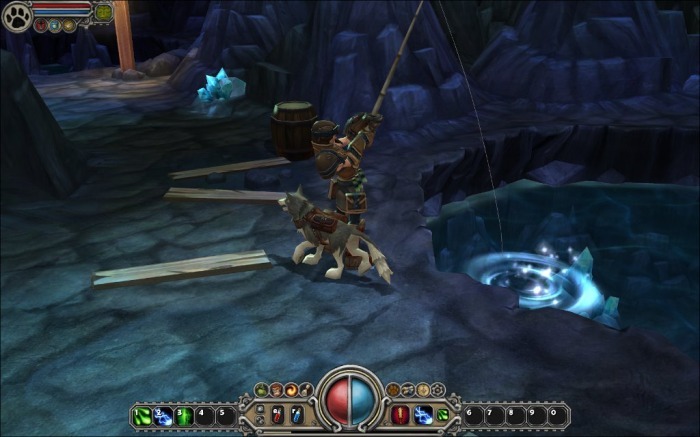 Therefore Torchlight is purely a single player affair, but one that shouldn't be overlooked. 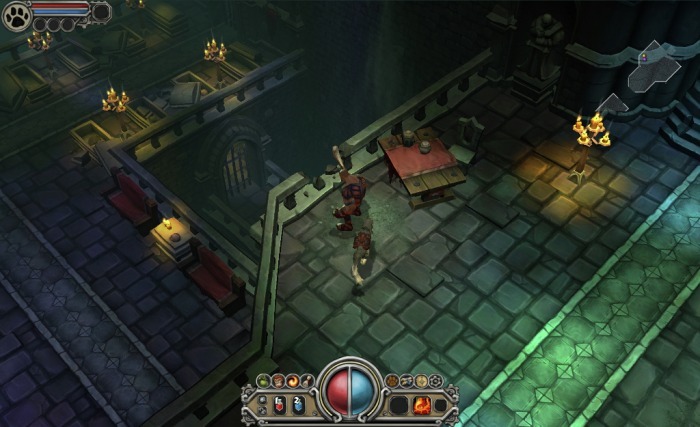 It's without a doubt the coolest looking, best sounding, and most fun dungeon crawler since Diablo II. 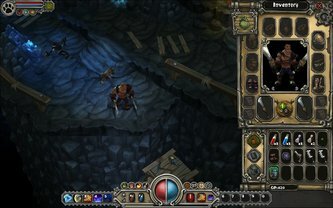 As a single player game, I really think with all of the improvements, it's quite possibly even much better than Diablo II ever was. 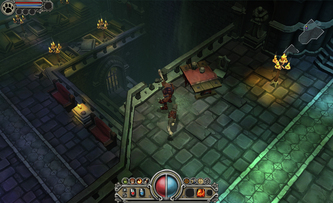 Diablo II was so dark, with lots of red, brown and shades of gray all over the place. Torchlight is like a technicolor improvement over an old drab black and white film-stock. 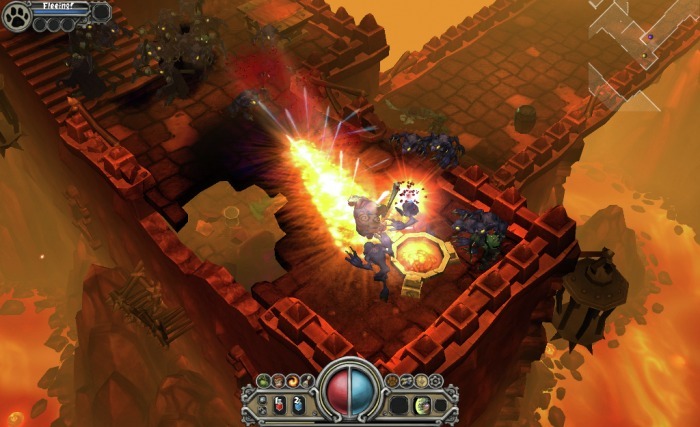 While it does lack multi-player support, there's still a lot to do in the game due to the TorchEd Torchlight Editor, which is provided for free with Torchlight. There are literally hundreds of mods too be downloaded and played with Torchlight. Therefore, what it lacks in the way of multi-player, it makes up for in the sheer number of single player mods that are out there for it. There was even a Warmachine mod in progress, that featured a Khador heavy warjack, which looked amazing. If you run out of things to do in this game, it's only because you haven't found the right mods for it. The kicker is that it's dirt cheap. At retail it's usually $19.99 at WalMart or GameStop, but I've seen it on sale through Steam and other digital download sites for as low as $10. I could best describe Torchlight as being like the StarWars Prequels when compared to the original classic trilogy. Many of the diehard enthusiasts will shun it just because, but no matter how you look at it, it's an improvement over the previous attempts in every way, shape or form, and it takes things to the next level, only without a Jar Jar Binks to ruin it, and piss people off.